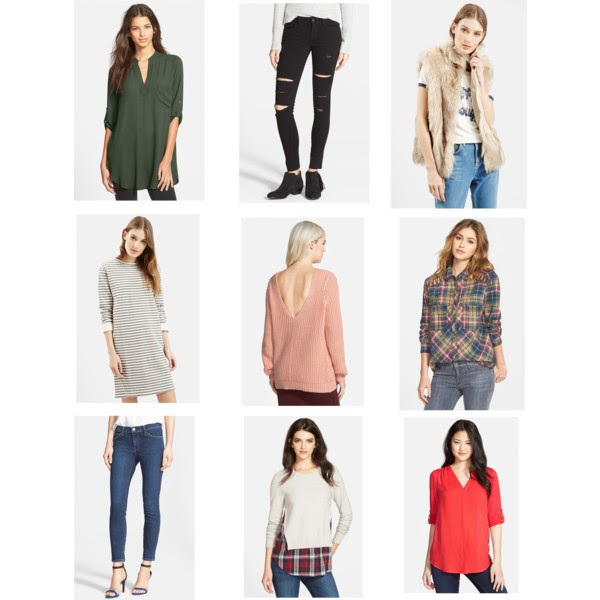 Today I wanted to share all of the things that I bought form the Nordstrom Anniversary Sale. I went a little crazy! I know! But there are so many great things that I couldn't help myself. I shopped the sale online. Shopping with a teething 6 month old baby sounds like a nightmare. And I did not want to drag my poor girl to the mall when she isn't feeling so great. I can not wait to get all of these things in the mail! Especially these jeans. I don't have a black pair of jeans and these were just to good of a deal to pass up! And I have been living in sandals, so I am so excited about these! I am also linking some more of my favorites below! Thank you so much for stopping by. I hope you all have a great weekend. You bought really beautiful things and you are so clever that most of them are already for fall! Love especially the hat, the fur vest and the boots. Great picks! I love those booties, I may have to cave and get them! You picked up some great items! I also purchased the v-neck back sweater in gray, Halogen Bouclé & Knit Drape Collar Jacket, Jolt Utility Jogger Pants, GUESS Bouclé Sleeve Plaid Wrap Coat and finally a mixed media ruffle hem sweater from TBD. Looking forward to receiving my order soon!